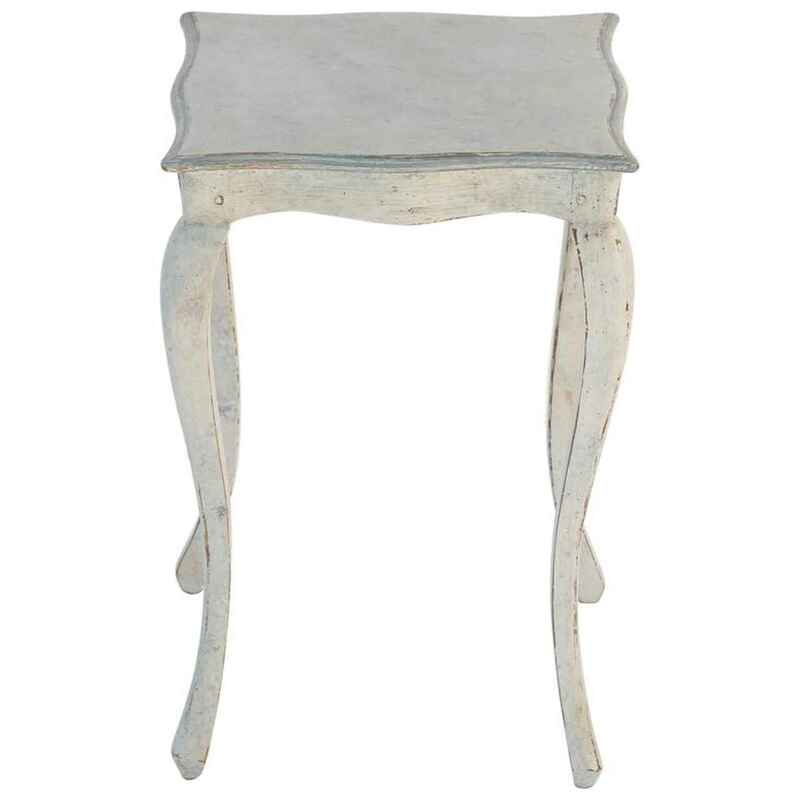 Small side table in Loius XVI style having a distressed, painted finish, its molded square top with serpentine edge, on conforming base, raised on cabriole legs. CONDITION: Excellent antique condition. Desirable natural wear to painted finish. Small side table in Loius XVI style having a distressed, painted finish, its molded square top with serpentine edge, on conforming base, raised on cabriole legs. CONDITION: Excellent antique condition. Desirable natural wear to painted finish.